Razer has announced its Chroma Hardware Development Kit (HDK), designed to "take Chroma lighting beyond peripherals". 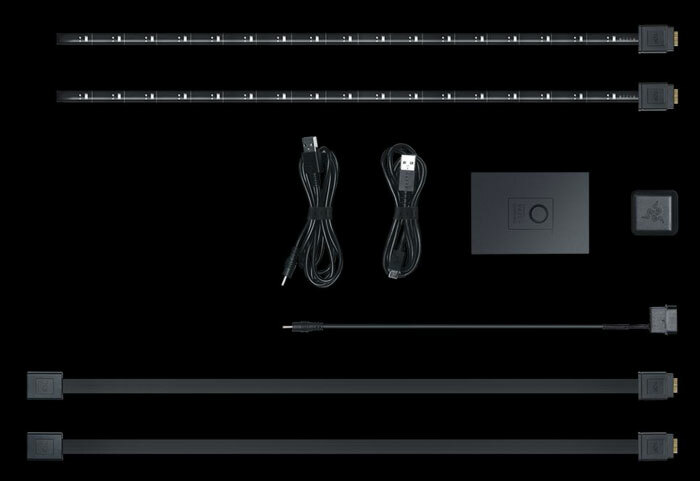 This modular lighting system kit allows owners to add advanced, configurable, synchronisable RGB lighting to third party PC cases, entertainment centres, appliances, or wherever else you might wish (Xmas tree?). Before this announcement Razer already had a burgeoning range of Chroma RGB lighting equipped PC systems and peripherals on offer. PC enthusiasts and gamers could already choose from a multitude of RGB illuminated laptops, keyboards, mice, headsets, and even mousemats in the RazerZone Store. Now with the Razer Chroma HDK users can apply the same Razer Synapse 3 controlled RGB LED all-in-one frills to anything they choose. 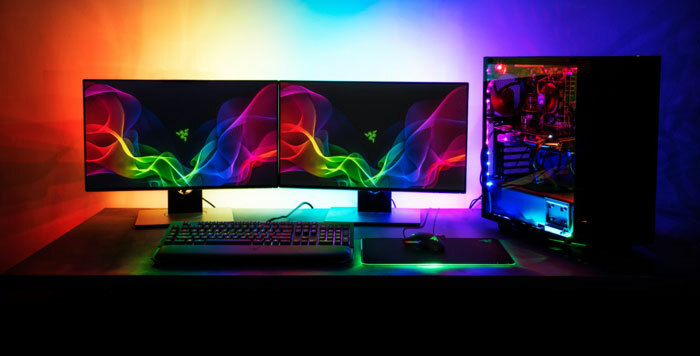 Razer supplies the HDK with two 2 LED strips that have 16 RGB LEDs each and there's the option to buy the Razer Lightpack Extension Kit with a further pair of RGB LED strips and extension cables. Of course these all can sync and illuminate along with your other Chroma PC hardware. "Razer Chroma is the most advanced lighting configurator in the world, enjoyed by millions of gamers worldwide," said Min-Liang Tan, Razer co-founder and CEO. "The Chroma HDK allows us to take game immersion to the next level with PC cases, entertainment centers, appliances, and be used wherever else users desire." The Razer Chroma Hardware Development Kit costs US $79.99 / EU €99.99, and the extension kit adds a further US $28.99 / EU €34.99. At the time of writing HDKs are in stock and ready for shipping. Ugh… I'd rather buy a Pi 3, some mosfets and decent programmable LED strips. Cheaper and fully customizable.